Perhaps the most worrying part of the patients' nasal aesthetic surgery is the fracture applications to be done with the nasal bones. When nasal aesthetic surgeries are performed, different treatments can be performed such as nasal rasping, planned nasal bone fracture (osteotomy), greenstick fractures and nasal bone collapse according to the facial ratios of each patient and the condition of the nasal bone. 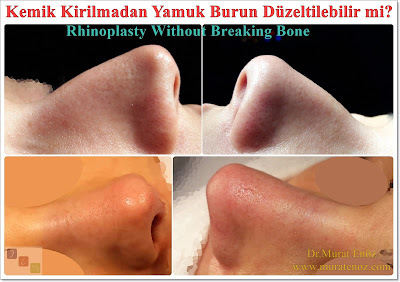 It is not always necessary to shrink the nasal bones by breaking them in patients who do not have too many nose arches and the nasal bone is not very large. The entire nose belt may not be removed without the nasal bone is broken. Because of nasal roof can be opened and lateral low to high osteotomies (bone fractures) may be needed. The physician can remove the nasal bridge by tapering until the bone is examined. 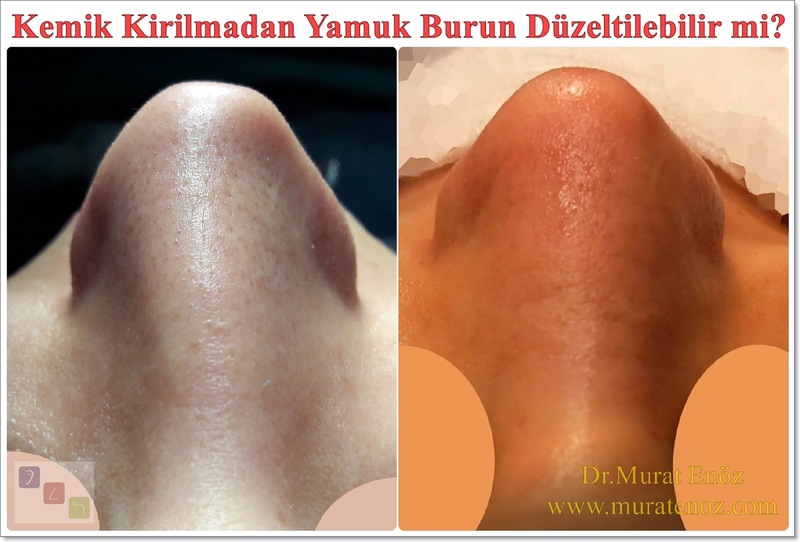 In other words, with a different result than the nasal aesthetic animation performed before the operation, it may be necessary to end the operation with a slightly arched nose. The risk of collapse, slippage and deformity in the nasal bone is very low for aesthetic nose surgery without breaking the nasal bone . It is not always necessary to insert a nasal puncture when only limited rubbing is performed without breaking the nasal bone. I usually prefer to end the surgery by sticking aesthetic tapes on the back of your nose. When the nasal bone is not broken, the distance between the eyes and expression are not much changed, the healing rate is much faster than the classical nasal aesthetic surgery, pain and facial edema are usually much less. I usually do nasal aesthetic surgeries with nasal rasping. 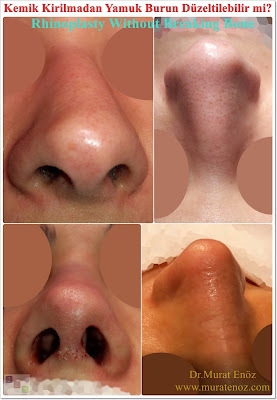 Rather than rubbing the nose too much, it is usually more natural that the nose tip is slightly lifted and the nose belt is tucked in the same amount, which provides a more natural nose shape when done alone. Two months after the patient's nose-aesthetic + nose-rubbing surgery on the page, the nose belt seems to have been largely removed; in people with thin bone structure, the nose arch can not be reduced by so much rasp. I prefer to do nose-rubbing operations with a particularly obvious technique. The reason for this is that during the operation I check that the cold sterilized serum is squeezed on the nasal bone and that the nasal bone is able to penetrate through the nasal bone and pass the light, and the anatomy is for perfect mastery. Nasal aesthetic surgery without breaking the nasal bone are not suitable for every patient. 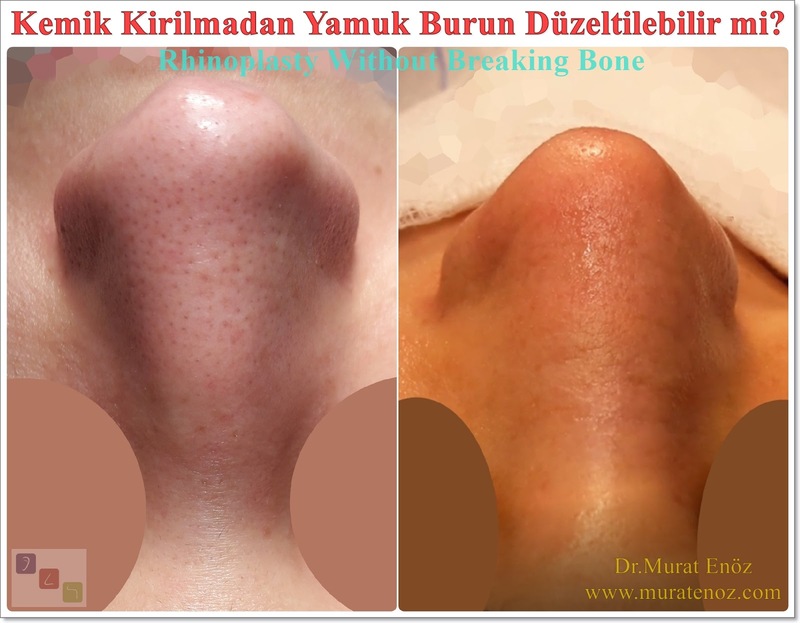 In patients with large nose arches and large nasal bone, breaking the bone can also provide a more natural and beautiful appearance. One day staying in hospital, all tests, all instruments, all doctor fees are included in this price.One week staying is enough after the surgery.